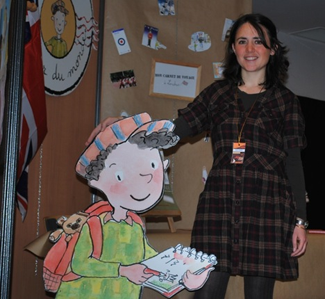 LONDON – Jo and Me around the World is presented to us by Sikanmar Interactive, Marica Jaubert & Eglantine Bonetto. This fantastic iBook is chock fun of information, fun, and activities. This is the first in a series that is forming to educate our kids about their world. What great timing to do London while the world is still thinking of the recent olympics there! There are 61 Pages loaded with fantastic graphics, interactive tasks, and a true picture of London. Kids will truly get a feel for being on this trip! Learn about everything from modes of transportation to get there to the wardrobes they commonly choose. There are puzzles, quizes and games sprinkled throughout the book. You can color their flag and their uniforms. The tools in the top bar will show you that you can take notes, highlight, and much more. You can save memories by taking a screen shot, which is explained in the book. You must be using an iPad with iBooks 2. This new series will take you on the road to new adventures! Get Ready For Your Trip To London! Learn Some of This iBook’s Tools! Bookmark, Search, Explore in All Directions! Our world is fascinating: everyone certainly remembers the first time they went to another country, and how this is important in the way a child becomes an adult!In today’s world, discovering foreign places and understanding other cultures is both a chance and a necessity. Children, in particular, deserve to know their planet better in order to live their role in the future. This vision is the essence of the creation by Sikanmar Interactive of ‘Jo and Me around the world’, which is an original series of travel notebooks for children. The founders and developers are Guillaume and Marica (picture), married and parents of three children, with whom they explore the world, both from home and on the road! 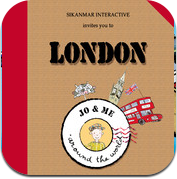 In the first iBook released during summer 2012, we invite kids to London. This interactive notebook offers a brand new type of book by mingling general information about the destination, traveling tips, fiction, activities, games and scrapbooking pages. Our favorite aspect of the iBook is to provide the young reader with the maximum of interactivity, so he/she can discover the destination with his/her own words and drawings. 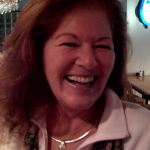 We hope you like Jo in the animated first section of the iBook. This short video is like a teaser for a new animation series we are developing. It is important to notice we develop a new kind of multi-touch ebooks, and these are not formally apps. Enjoy and join us on the road to new adventures!